I've reached a major milestone here on Quilting Mod -- the big 5-O-O! Congratulations! Such great goodies. I love all of them but especially the last one with the batting. Casablanca charms is my favorite - thanks. I like all of it -- congrats! I am just passing 450 myself -- whoohooo! Everything is so color coordinated. I would like the Casablanca 5" Charm Pack. Actually anyone of the prizes would be great. Congrats on 500 followers. Thank you for the giveaway. Hmmm, I can't decide between Casablanca and the Windham mini charms. Congrats on reaching 500 followers! Thanks for the opportunity to win. I would be happy with any of them...they are great!!! I would love the cotton batting prize! Congrats!! I love the batting and Moda bundle. Thanks for the opportunity and congrats!! All are great prizes but my favorite is the cuddle charms! Congratulations! Thank you so much for the giveaway. I like prize #5--Quilters Dream Batting, mini charms and Aurifil thread. Congrats on the 500 followers and thanks for the giveaway! I love those cuddle charms and the aqua/winterberry charms! I also wanted to say I've really been enjoying your quilt show recaps. I didn't make it to the AQS show or Quiltcon, so it's been fun to see. Did you take any pictures of the Shades of the SW exhibit at the AQS show? I like the batting sample prize, but any would be excellent. 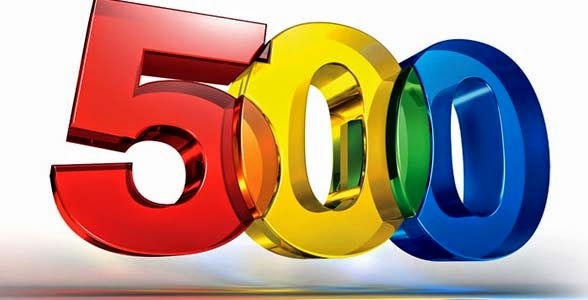 Congratulations on your 500th post! Congrats! Way to go! Great prizes here to! My first choice would be the Quilters Dream Cotton Batting Sample, Moda Winterberry & Mixology Mini Charms, and Coordinating Aurifil Thread but I'd be happy to win any of them. I've been wanting to try that type of batting. My first choice would be winterberry but they're all great prizes! A hearty congratulations and you are beyond generous with your giveaway. I'd like the last prize if I'm lucky enough to be picked. I can't resist that variegated green thread. I hope you have a fantastic weekend! Congratulations on your milestone and thanks for offering the lovely prizes! My top choice would be Two Windham Sampler Mini Charms and Orange Thread and my second choice would be the last prize with the moda mini charms. That's wonderful, congratulations! My top choice would be the Casablanca charm pack. It looks and sounds so romantic! Thank you for the opportunity. Thanks for the giveaway - I would love to win any of them - I am new to quilting world and am building up my stash! I love them all, but especially the first and last! Thank you for your giveaway. I follow you on Facebook. The Casablanca charm pack would be make such a vibrant quilt! Congrats!! I would love the batting sample and charms. Congratulations! We should be giving you gifts for all the inspiration you provide on your blog! I would love the package with the batting sample and solid fabric. Thanks for the chance to win! Congratulations! Any of your prizes would be fun to win; however, the Windham Sampler mini charms (#4) would be my top choice. Thanks for the chance(s) in your giveaway. Congratulations! My favorite of the five is number five. I just love the soft green of the fabric. Thanks so much for the giveaway and the chance to win. I'd prefer the wadding sample, but I'd be happy with any of the wonderful prizes. Id love the casablanca pack or the red white and blue. Such a generous giveaway. Thanks for the chance! Well, congratulations on your 500th post! That is quite an accomplishment and so generous of you to celebrate with your followers! I wouldn't have a hard time accepting any of the choices, but my top pick would be the Moda Winterberry & Mixology Mini Charms bundle...love those colors together! I love the one with the batting! Thank you so much for such a wonderful giveaway to celebrate your milestone! Congrats on 500! Thanks for the great giveaway. :) I like all of the prizes. I have to say Casablanca but I would love any of them. thanks for the chance to win. Congratulations. Any of them would be wonderful but I like #5 the best. I need to make a mint green quilt. Must be "carma" or something. Congratulations! 500 followers is wonderful. I prefer the Moda Winterberry & Mixology Mini Charms or the two Windham Sampler Mini Charms (though I actually like all of the prizes!). I'd love the red white and blue mini charms. Thanks! #4 or #5.....all are fantastic. Congrats! My first choice would be the Casablanca charm pack, but the Beach House mini charms would be a very, very close second place. Congrats on 500! I love #5 - Winterberry fabric line I love and did not buy any and that varigated thread is awesome! I do love all your prizes though and you are very generous! thank you! Quilters Dream Cotton Batting Sample, Moda Winterberry & Mixology Mini Charms, 1 yard of a Moda Bella coordinating solid, and Coordinating Aurifil Thread is my favorite prize. Congrats on 500 posts! Congratulations! The final prize selection with the mixology mini charms is lovely! The American Made Charms would be perfect for a table runner I want to make. Thanks for the giveaway and congrats! Congratulations, Afton! A huge accomplishment! Afton, I love the Quilters Dream Cotton Batting Sample, Moda Winterberry & Mixology Mini Charms, 1 yard of a Moda Bella coordinating solid, and Coordinating Aurifil Thread. Congrats on your accomplishment....that is so awesome. I've been a blog follower for about 8 months now and I look so forward to your quilting experiences, inspiration and your down to earth modern methodologies. I am new to the quilting world and any of the prizes would be perfect!! Congratulations on your big 5-0-0 milestone. I love your blog. Such great giveaways and any one of them would be a a great prize to me. I love the colors in Casablanca, any of the mini charms packs would go into postage stamp quilts I am making and the last one with such pretty green Bella solid fabric. Yep they are all yummy prizes. i like the last option! (batting, charm packs and yardage)! great colours! Congrats on reaching this milestone! The new Casablanca line is gorgeous. I'd love to win the charm pack! Cuddle 5" Charms Package with Coordinating Aurifil Thread is my favourite, but all of them are great !! Thanks and congratulations for the 500'! Aurifil thread is my favorite, and the batting is great too! Congrats! The giveaway are lovely! Thank you for your generosity! Now on to read more of your blog! The red white and blue would be my first choice but they are all fun. Congrats! I personally like the last one with the bating or the red, white and blue. Congratulations!! All of the prizes are wonderful!!! If I won I'd select the batting prize or the Casablanca charm pack!! Thanks for the chance!! The batting prize is my favorite! I prefer the American Made Brand Red, White & Blue Mini Charm, Moda Beach House Mini Charm, and Coordinating Aurifil Thread. Congratulations! My favorite would be the Quilters Dream Cotton Batting Sample, Moda Winterberry & Mixology Mini Charms, 1 yard of a Moda Bella coordinating solid, and Coordinating Aurifil Thread. However, I would be happy to have any one of the prizes. Thank you for the chance to win! Congrats! I love the American Made Red, White and Blue, but they are all lovely. Thank you so fun ! The last prize is my fave! Thank you for the opportunity!! I like the last collection with the batting sample and winterberry fabric! My favorite is the batting set, love the colors! Second favorite would be the cuddle. :) Thanks so much and congrats! Congrats! All the prizes are great but I would love the one with the batting sample and then the one with the Moda Beach House mini charm. Thanks for the chance to win! All of the prizes are lovely - hard to choose but I chose the Casablanca Charm pack. Thanks for the chance to win. For sure the dream and Casablanca pack. So very lovely!! I would love the Q.D. batting and the mini charms! Thanks so much for the opportunity to win! Any of the choices are good. I love the batting package! Thanks for the opportunity! I really like the Quilters Dream with Moda fabrics prize! But they are all wonderful!! Oh, the Quilters Dream Cotton Batting Sample, Moda Winterberry & Mixology Mini Charms, 1 yard of a Moda Bella coordinating solid, and Coordinating Aurifil Thread is awesome! Congrats!! Batting all the way! But anything is wonderful and lovely. I will gladly use extra materials to make a quilt for donation. Thanks.